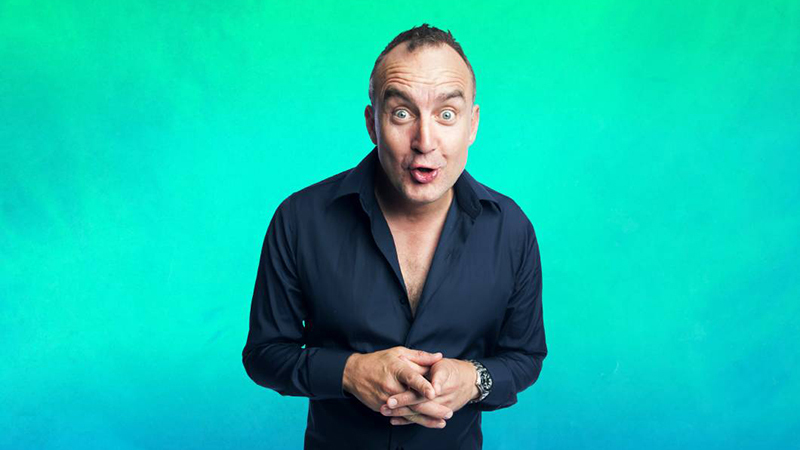 Jimeoin is acclaimed as one of the hottest stand-up comics of this generation – a true comedy master. A prolific writer with an exceptional audience rapport, he is known and loved for his brilliantly funny wit and charming observations on the absurdities of every-day life. Internationally, Jimeoin has toured to great acclaim from New York to New Zealand, Aspen to Amsterdam, and the Middle East to the Far East. He has also performed around Europe and the UK and is a regular invitee to the Mecca of comedy, Montreal’s Just For Laughs Festival. 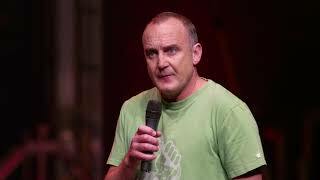 In 2005-8, Jimeoin was touring throughout the vast outback regions of Australia as well as playing the major cities and festivals across the land – he became the first comedian to go and tour totally “over the top” of the country, playing a mix of hotels, theatres, swimming pools, cattle ranches and anywhere that looked a bit interesting. This was filmed for a TV series on BBC N.Ireland called “Jimeoin Down Under”. He performed additional sell-out tours in Ireland, shows in Paris and several massive seasons at the Edinburgh Fringe, as well as four seasons in London’s West End. In 2009 he toured South Africa and performed at the London, Kilkenny and Montreal Comedy Festivals as well as touring regional Australia including WA and QLD. 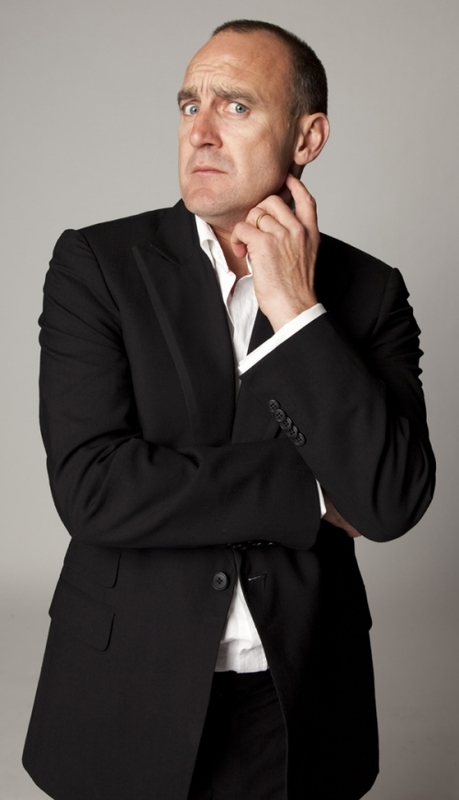 A familiar face on Australian television, Jimeoin has appeared on all the nation’s top variety and comedy programs including “GMA”, “Rove (live)”, “The Panel”, “Thank God You’re Here”, “Full Frontal”, “Bligh”, “The Midday Show”, “Tonight Live”, “Good News Week”, “Spicks and Specks” and “Talkin’ About Your Generation”. Jimeoin has also made regular guest appearances on top-rating overseas television programs including “Des O’Connor” in the UK and “Late Night with Conan O’Brien” in the US (with a viewing audience of over 13 million). His one-hour “Tea Towel Tour” of Ireland documentary (for Network Ten, Australia in 2001) was a quirky, self-styled travel special, inspired by constant touring and a love of his native land. The same year he also hosted two one-hour documentaries showcasing Montreal’s “Just for Laughs” Comedy Festival. In 2008 Jimeoin co-produced a 6-part comedy series for BBC N.Ireland following his epic tour across the far north top of Australia called “Jimeoin Down Under”. A combination of comedy travelogue and standup show, this series was almost immediately repeated due to popular demand. 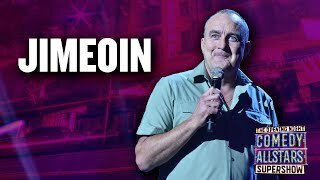 In 2010 Jimeoin starred on all the biggest UK BBC’s “Michael McIntyre’s Comedy Roadshow”, “Comedy Rocks”, “The Very Best of the Edinburgh Comedy Festival” as well as “The Best of Just For Laughs”. And in Australia his “Over the Top” TV series aired on Foxtel. In 2011 Jimeoin hosted the NZ Musical Comedy Awards. In 1999, Jimeoin wrote and starred in his debut feature film “The Craic” (Village Roadshow). Its opening weekend made it the second highest grossing box office movie in Australian-produced film history and it went on to have hugely successful video releases throughout western speaking countries. In his native Ireland, it was second only to “The Matrix”. 2004 saw Jimeoin shooting his much-anticipated second comedy movie, “The Extra”, which he again wrote and starred in. Released in spring 2005, it was a romantic comedy about an average guy who aspires to be a movie star and is willing to give anything a go to get there. A special audience test screening at the Edinburgh Festival was very well received, the film was presented at Cannes and went on to be a popular screening in Australia. Jimeoin has also produced three top-selling CD’s: “Goin Off”, “The Craic” and “Forklift Truck”. His DVD’s “All Over the Shop” and “Third Drawer Down” have been best-sellers in Australia. A keen fisherman and golfer his constant touring enables Jimeoin to check out and experience new outdoor adventures. Never a man to sit still in his career for long, he is forever doing gigs, trying new things and, basically, just having a laugh.